It's been a busy 2 months here at Wabi O. And quite an unusual time, indeed. So much has happened, it's hard to stay on top of it all. But here's a short breakdown of the exciting events of the recent past. 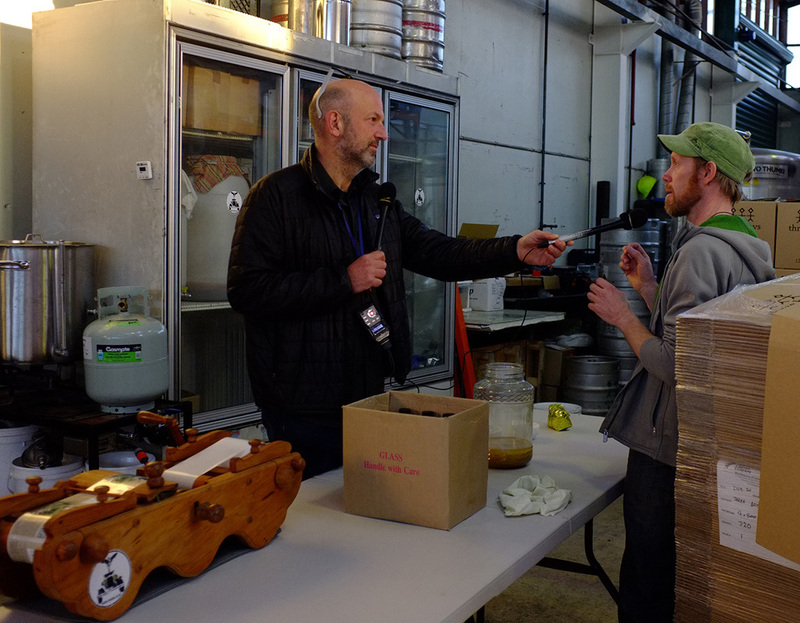 Also in early May, I was interviewed by Helen Jackson for RadioLIVE's Home & Garden Show about kombucha (here's a link to the RadioLIVE kombucha interview). In June, we handed out free samples of our kombucha at the Lyttelton Festival of Lights and people could get a first taste of a new flavour we might bottle as a limited edition in the not-too-distant future. A few weeks later, one of my dreams came true. I got an email. An email from Radio New Zealand National. From the editor of my all-time-favourite radio show "This Way Up". A few emails and phone calls later, I had host Simon Morton (see photo at the top of this post) in our brewery. He's a true legend and it was great recording a show with him. I showed him how kombucha is brewed, made him chew on a little SCOBY and let him pet a big one... It was awesome! After the hard work of recording was done, we settled on some couches and sipped on tea and kombucha. We had lots of fun recording this interview and you can hear the full audio on the RNZ kombucha page. As you can see, it's been a busy and exciting time. And it doesn't look like that's going to change anytime soon! ConversatioNZ is about bringing together people who have impact on the food industry here in New Zealand - chefs, writers, growers, artisan producers and the food distributors. We dream big! We want to challenge, inspire and push ourselves to the next level, to have a voice of our own and create strong community around food in New Zealand. Number of Scientific Publications on Food fermentation in the last 15 years. This is totally in line with our own philosophy and as you can imagine, it is a great honour to present at this event. And I'm very excited and slightly nervous! The list of topics is extremely broad and ranges from foraging, to fungi and wine - as well as kombucha, of course! Traditional fermentation has been an integral part of indigenous culinary wisdom for millennia. During the 20th century, the advent of refrigeration, chemical additives and modern processing techniques removed the necessity for fermentation as the central means of food preservation. In the last decade, however, the availability of properly fermented foods has fuelled mainstream food movements such as the 'Paleo Diet'. The driver is another practical aspect of fermentation, this time focused on the increased bio-availability of nutrients created through the fermentation process. Today, a new movement is taking place, lifting fermentation to an art form through access to information on traditional processing methods, high quality ingredients, all pulled together by an adventurous culinary spirit. The recent explosion of the artisan crafted kombucha industry clearly illustrates this development. Kombucha, a fermented tea, was traditionally brewed as a health tonic with little regard to flavour. But a new breed of visionary producers are pushing the boundaries towards a sophistication that is more akin to the boutique wine industry. * Results are based on scientific peer-reviewed journal articles and books available through www.sciencedirect.com. The news about a new government-funded treatment for gout has been hitting the media since yesterday. Basically, the new medication should provide an alternative to the other anti-gout medications on the market already. All of them have in common that they reduce the amount of uric acid in the blood. New Zealand is often called the gout-capital of the world and the occurrences of gout are 2-2.5 times higher in certain groups of the population than world average. 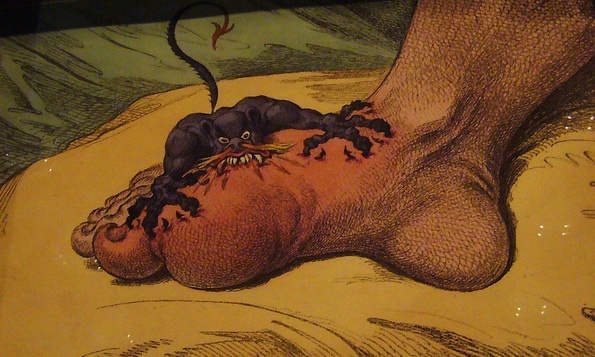 Especially high occurrences of gout are found among men of Maori descent. Gout is caused by an accumulation of uric acid in the blood and ensuing deposits of urate crystals in and around the joints. This usually results in severe pain around the joints. Uric acid is formed in the liver through the breakdown of a component called purine which we derive from certain foods. High-purine foods include meat, certain types of fish and alcohol. Alcohol can have an especially detrimental effect, since it tends to also inhibit the excretion of uric acid which, in turn, leads to increased levels of uric acid in the blood. So, where does kombucha fit in with all this? The kombucha culture requires sugar and purin for its own metabolism. And remember, purin is the the compound that's converted into uric acid. Now, kombucha takes the food-derived purin and digests it, therefore preventing the formation of excess uric acid in the body. Kombucha's metabolic products are water-soluble and discharged from the body via the bladder. Kombucha is therefore a great aid in any treatment of gout but can also be used in gout prevention. As part of Project Lyttelton's Harbour Harvest Festival 2014, I'll be teaching a workshop on brewing kombucha at Living Springs Farm Park on Saturday, 5 April 2014. In this 90 minute workshop, you will taste some of our kombucha before I will guide you through the principles of kombucha brewing and make a brew together with you - hands-on. If you bring a large (~1l) pickling jar, you can take home a complimentary SCOBY (kombucha culture) and some of the kombucha we'll make. 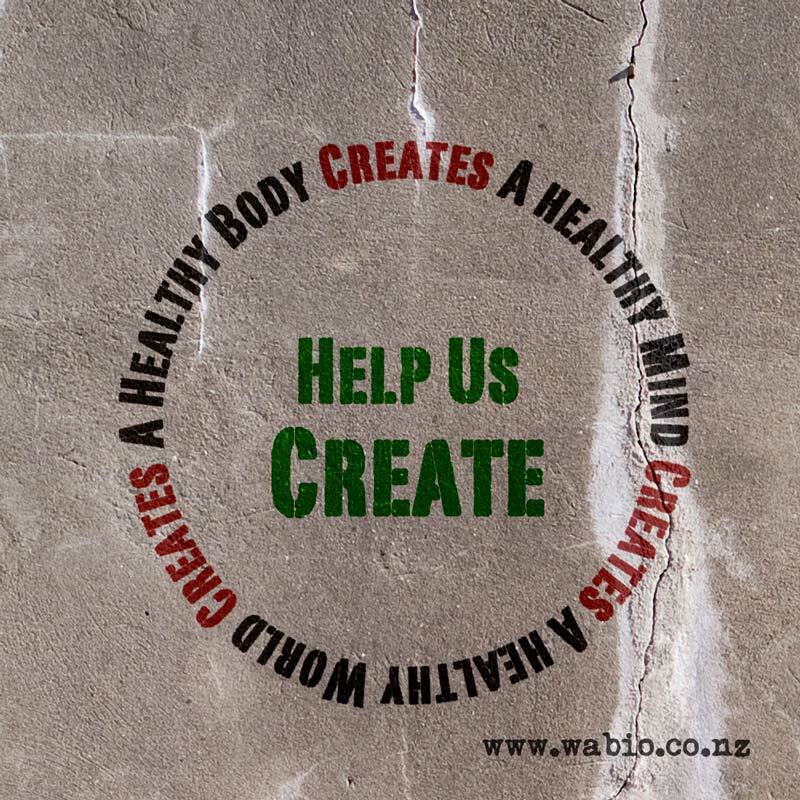 When: 5 April 2014, 11 A.M. - 12:30 P.M.
RSVP: Please send an email to support <at> wabio.co.nz to secure a space (limited to 25 participants). 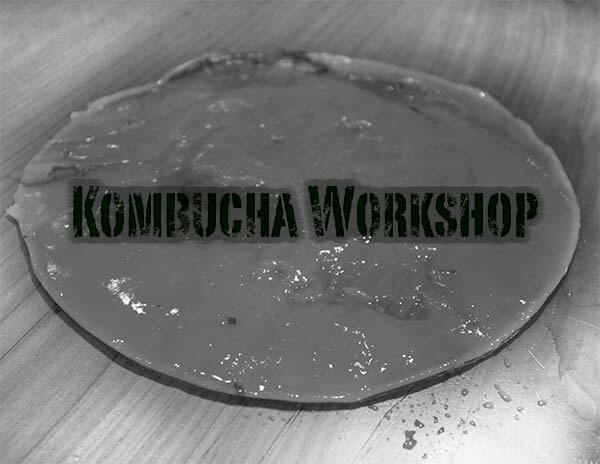 It's been far too long since our last kombucha workshop and I have promised some of you to host some more workshops this year. So, here it is: Wabi O's first Kombucha brewing workshop for 2013! When: Sunday, 14th April 2-4 p.m.
To make it most beneficial for everyone, we'll restrict the number of participants to 10. If we get more interest than that, I'm happy to host another one. 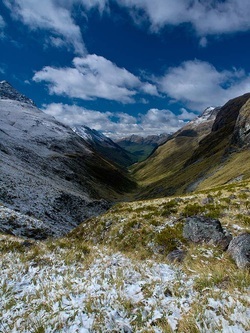 I've borrowed the title of today's blog post - Up here for Dancing - from the album of the same name by New Zealand band Tono and the Finance Company. One reason being that I really like Tono's music (go and catch one of his amazing live shows), but it also expresses all that defines Wabi O.
I don't know whether you've tried our kombucha yet, but one type of feedback that we receive over and over again is that of amazement. Amazement about what we are creating - creating by hand and with heart. From the content of the bottle to the artwork of our labels - it all follows our vision of creating art, our art. When you drink Wabi O Kombucha, you give us the opportunity to share something with you that we strongly believe in. You allow us - that is Warren if you're in the US and me, Jo, if you're in New Zealand - to touch you with our art. It's not art in the traditional sense, but the resulting creation of our heart and soul. We strive to make the best kombucha in the world - and we don't let 'economics' or 'standardization' or 'mass appeal' water down and dilute our art. We don't believe in adding fruit juice or other flavouring agents to our kombucha - we don't have anything to mask or hide. Our kombucha wears its heart on its sleeve, so to speak. The beauty of small batch production is the small variations between batches. What would be the horror for producers of standardized products is our excitement. Just yesterday I got a call from one of the lovely Piko staff and was congratulated on the latest batch of our Wizard kombucha which was 'absolutely amazing, by far the best so far'. And it's not like she didn't like this particular kombucha before - it was just that THIS particular batch was stellar. Sure, there's something comforting and easy about standardized products (like teabags, for example), but there's no art, no surprise in them. And it's exactly that surprise that touches and inspires people. Up here for dancing: Enjoy yourself and have fun doing what you love! Have fun with what you do - or stop doing it. We don't have to brew kombucha (and it's often pretty hard work doing it) - but we love to create fantastic tasting drinks that are good for your well-being. If we didn't enjoy making them they wouldn't be what they are. And, as per our one principle, we wouldn't continue making them. We don't paint or make music, our artistic expression is kombucha. And it is a privilege to be able to share our art with you. You are our motivation to perfect our art, to soar to new heights. And we thank you for that. 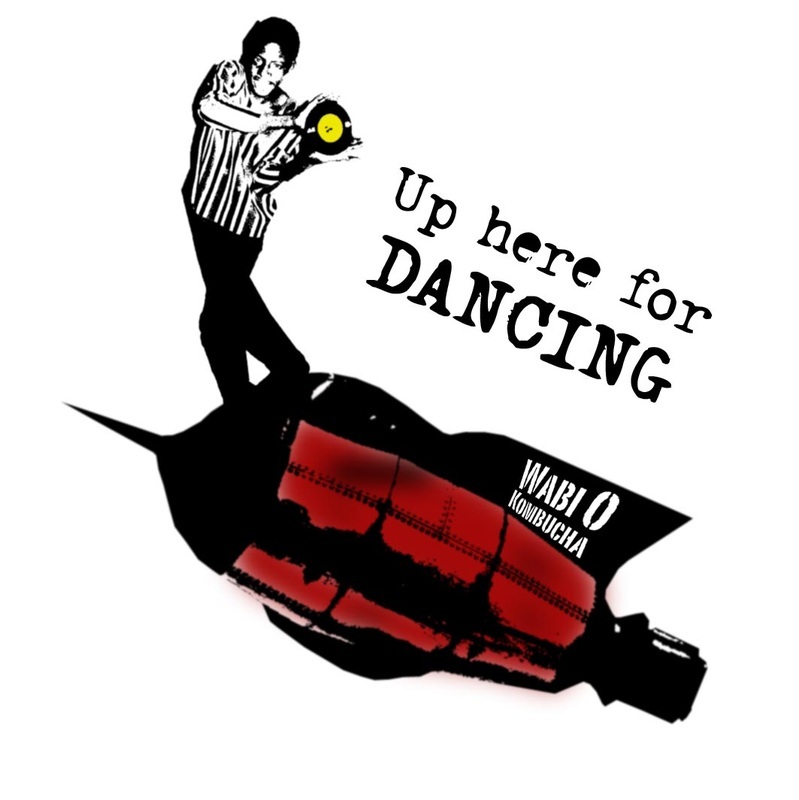 We've just created a new page on our Website called Wabi O Tunes. It features the ever-growing Google Playlist of our favourite tunes, the music we listen to while brewing our Kombucha for you. We believe in the power of music to help create better Kombucha - and happier brewers. It also gives you an small insight into our (sometimes rather weird) personalities - Tuvan throat singing, whimsical pop, Catalonian ska, free jazz, desert rock, neo folk - it's all there and we would love to share it with you. Our Kombucha Tunes are available at Wabi O Tunes. We've worked hard for this bottle of Wabi O Kombucha! 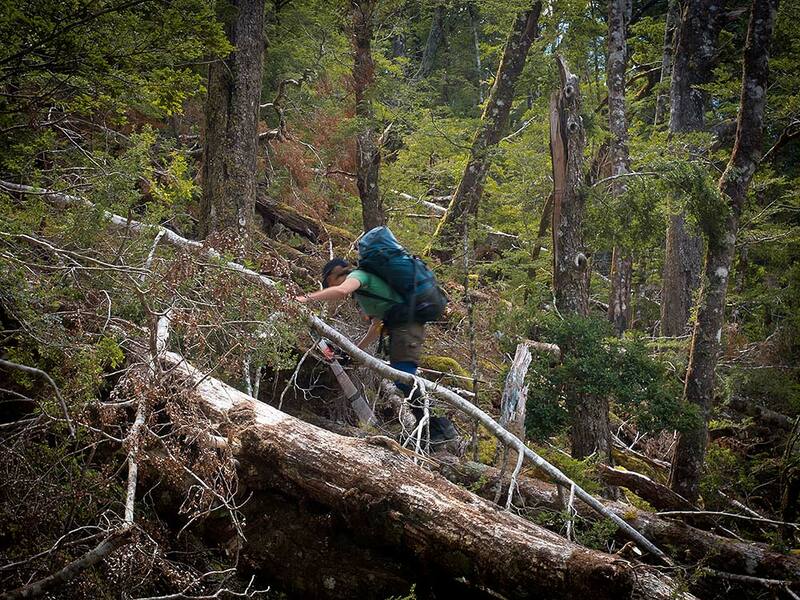 Where else can you spend a week in what feels like absolutely primal wilderness - just a few hours away from home and only 20 minutes from the nearest cafe! I just returned from a wonderful and soul-refreshing trip to Mt. 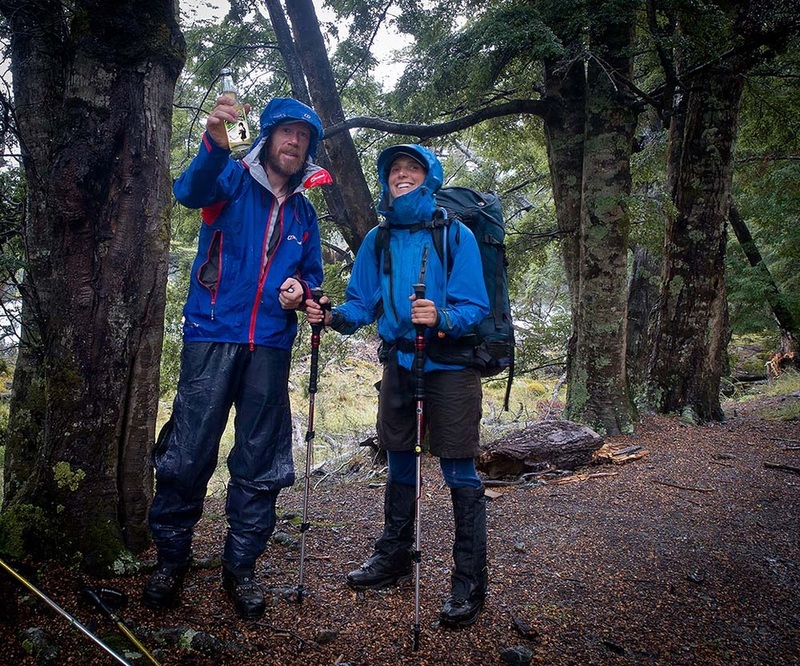 Cook and Fjordland - rock climbing and tramping and enjoying the wild. The photo above was taken at our return to the car (and some Wabi O Kombucha), coming out of the Greenstone Valley after crossing over from the Caples Valley via Steel Creek. Despite it being the middle of summer, the saddle above Steel Creek received some fresh snow the night before our crossing and we were greeted with a magical dusting of white to contrast with the intense colours of New Zealands sub-alpine environments. 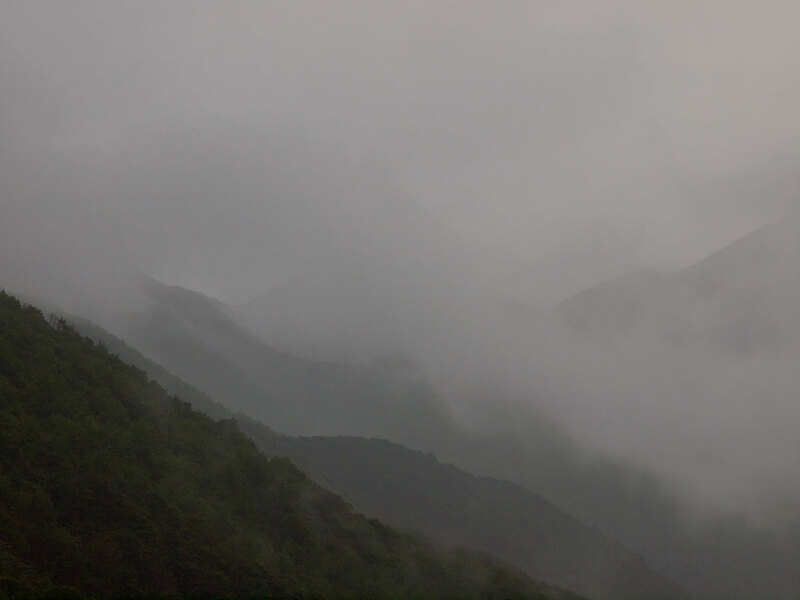 While the weather was perfect for the crossing, the next day saw some heavy rain in the Greenstone Valley and we were happy to get back to the car. A cold bottle of Wabi O Cliffhanger Kombucha seemed the perfect end to an awesome trip! 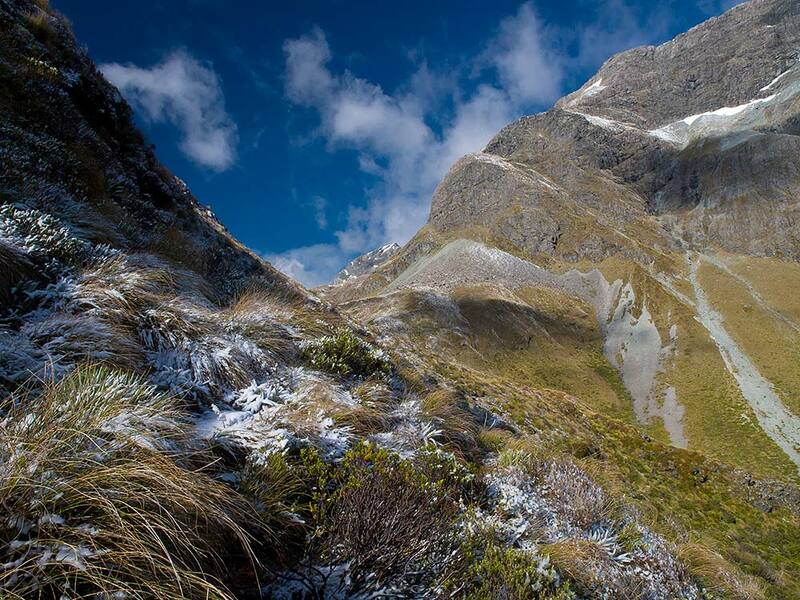 It just seems appropriate to start our new blog on the first day of the year - 1/1/13! The plan is to use this blog for updates on what's going on at Wabi O, more in-depth reviews of the medical literature on kombucha and health, to announce specials and give-aways as well as sharing some other interesting tidbits that are important to us. While we don't envision a strict format at this stage, we hope our posts will be of interest to you. We encourage you to leave comments or give feedback on things you would like to read more about. So, I'll raise my glass of Wabi O kombucha to a good start into the new year and to a long-lasting relationship with you, our readers! Find us on Facebook. for updates.